Free Practice: In the first free practice session Lando Norris had to deal with a small technical issue and was only able to do a few laps on P 16. Daruvala at the end on P 5 and Shwartzman on P 7. Qualifying 2: The second Qualifying on Sunday morning was even closer than on Saturday. Shwartzman qualified P 8, Norris who was a bit handicaped with a neck problem qualified P 6 and Daruvala this time with a brilliant lap on P 2 in the front row. Starting Grid for Race 2: Daruvala P 2 - Norris P 6 - Shwartzman P 8. Race 2: Daruvala drove a good race but lost a few positions during the opening lap. After an incident with another driver he had to retire due to a broken front suspension. 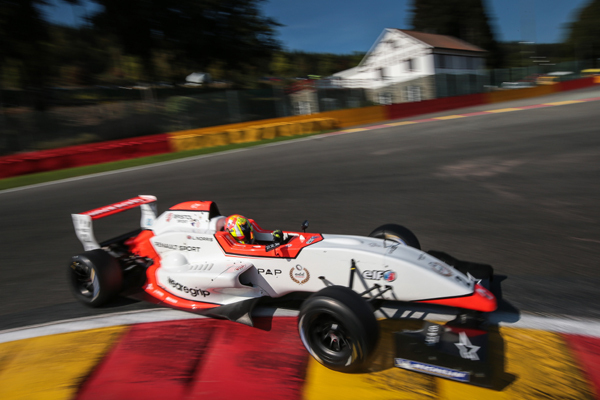 Shwartzman who fought his way up to P 6 became a Drive Through Penalty and finished P 14. 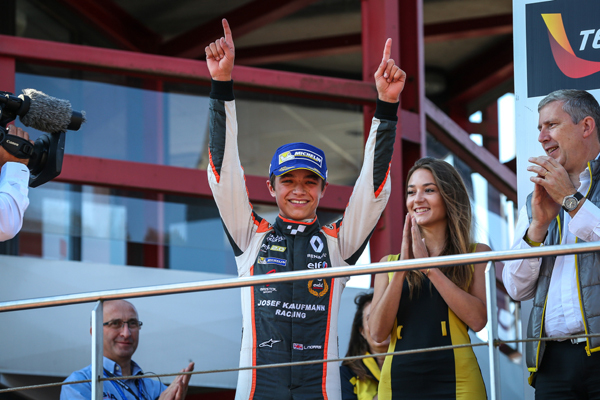 Lando Norris drove the best race of the season. Still handicaped with his neck problem he made his way up through the field. After some impressive overtaking moves he was nearly able to take over the lead. 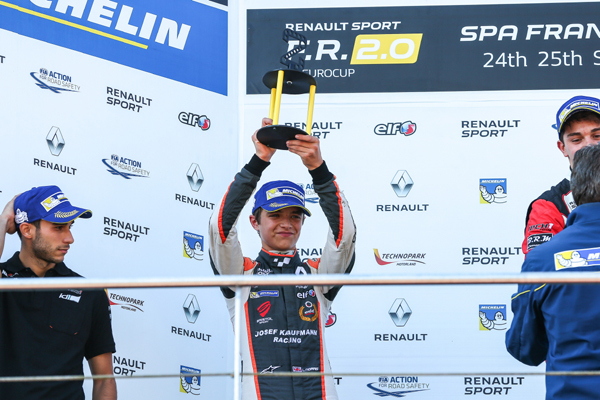 In the end he finished on P 2 and crowned himself "Formula Renault 2.0 Eurocup Champion 2016" already one weekend before the end of the season. An incredible performance of the young Lando Norris.